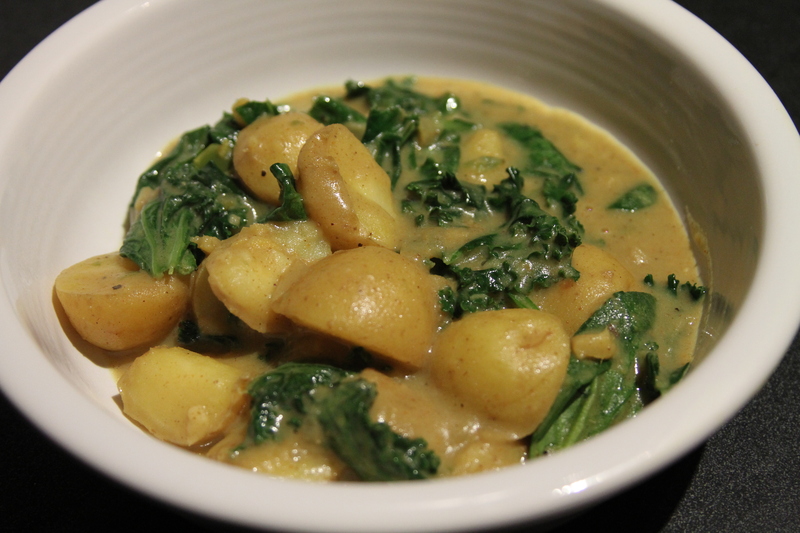 Our latest cooking club happened to fall on St. Patrick’s Day and we went with a “green” theme. Although I never met a green vegetable or fruit I didn’t like, my two favorites are definitely kale and asparagus. 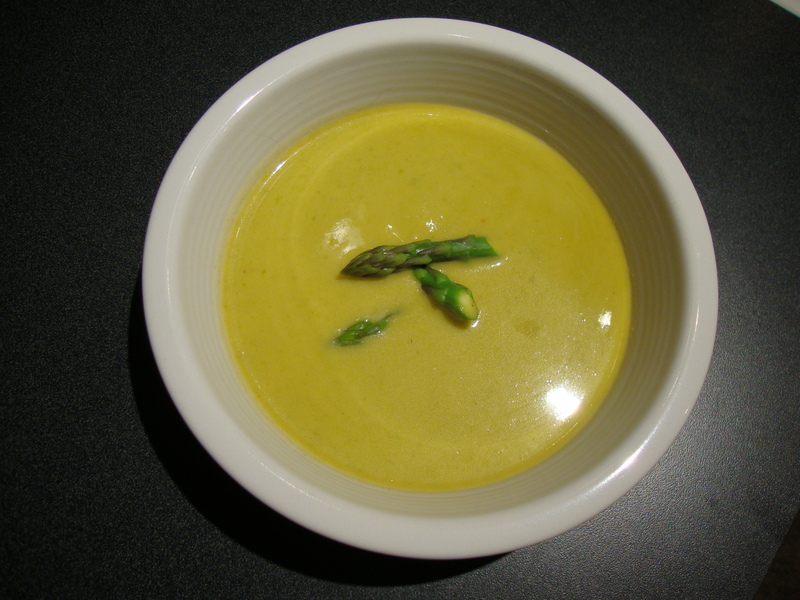 For this, I went with asparagus and decided to make asparagus soup. I found a vegetarian version on Allrecipes.com with great reviews, so I decided to make vegetarian and vegan versions so we could taste test them both. One of the things I have gotten better at during my vegetarian cooking exploration of the last few years is substituting various ingredients with others — I don’t think I’ve had a total fail yet, which makes me much more adventurous! I’m sure there are many different ways you could change this up — and other vegetables you could use in the place of asparagus! In my personal chef business, I hope to never use a can of “cream of ______” (fill in the blank) soup if I can help it. Something as easy as this makes me wonder why anyone would. Here’s what I came up with. 1. Trim the woody ends off of the asparagus and set aside. 2. This step I decided to do on my own — you can skip it if you like and I’m sure it would be just fine! I put all of the vegetable broth in a saucepan and placed the ends of the asparagus in with it. I simmered it for about 20 minutes to infuse the asparagus flavor into the broth, then removed it from heat (I think I put a little extra broth in there in case some cooked off). Remove asparagus ends with a slotted spoon and throw away. 3. Place asparagus and onion in small saucepan with 1/2 c. of broth. Bring to a boil and reduce to simmer. Simmer until vegetables are tender. 4. Reserve a few asparagus tips for garnish if you like, and puree the rest in a blender or use an immersion blender to puree it in the pan until smooth, then pour into a bowl and set aside. 5. Melt butter in the pan, then stir constantly while sprinkling in flour, salt and pepper into it. Don’t let the mixture brown — cook while stirring for about 2 minutes. 6. Stir in the remaining 1 1/4 c. broth and increase the heat. Continue stirring until the mixture comes to a boil. 7. Stir the vegetable puree and milk into the pan, the whisk in the yogurt or coconut milk and lemon juice. 8. Stir until heated through and ladle into bowls. Garnish with asparagus tips and cheese or nutritional yeast if desired.